Repeater pipettes can be an extremely useful tool to labs that performs any variety of assays that require repeated wash steps, reagent addition to multiple plate wells, etc. They save the user an enormous amount of time in comparison to other pipettes. An Eppendorf pipette can also be the ideal unit for pipetting liquids that would traditionally be difficult to pipette accurately such as ice-cold liquids, viscous liquids and foaming liquids. Refurbished Eppendorf Repeater Pipettes are a great opportunity to get a high-quality Eppendorf Repeater Pipette at a great price. The Eppendorf Biomaster Positive Displacement Pipette is an easy to use, ergonomic pipette that utilizes the positive displacement principle in conjunction with the special Mastertip® to eliminate the formation of aerosols – the most common cause for pipette and sample contamination. While being simple, this piece of equipment is ideal for accurately pipetting viscous and high-pressure vapor liquids. 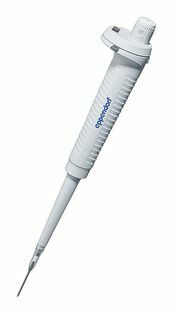 The Eppendorf Maxipettor is a continuously adjustable pipette for precise pipetting of volumes up to 10 mL (in 10 µL increments). Even liquids with a high vapor pressure or viscosity can be pipetted with ease. The pipette tips for the Maxipettor are tailored to different vessels. For example, the Maxitip P is designed for aspirating 1 mL to 10 mL from beakers, and it pipettes according to the positive displacement principle. The Maxitip S for 2.5 mL to 10 mL forms a system with the Maxipettor, and it is used for aspirating liquids from tall, narrow-neck vessels.